Whether you are an individual or a business owner, you can’t imagine establishing an identity without a website of your own. If you are planning to have a website, then you no longer need to hire a professional website developer and pay him a hefty amount. You can just log on to the Internet, and create a website yourself. All you need is a website template, which you can easily find with Template Monster. 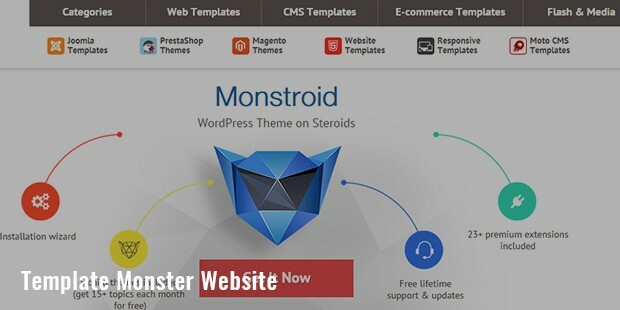 Template Monster is a private website that is dedicated to selling website templates to the users, mainly for WordPress Themes, flash templates and HTML templates. This is perhaps the biggest template provider over the Internet as of now. Users can purchase these templates from the site itself, and customize them to create a website as per their own requirements and preferences. The templates are easy to use, and you don’t need any professional expertise to create your own web pages. Just purchase the template, fill in your company information, text and images, and upload it on the server. The wide variety of products offered by Template Monster include blog templates, Drupal and Joomla templates, Facebook templates, WordPress themes etc. 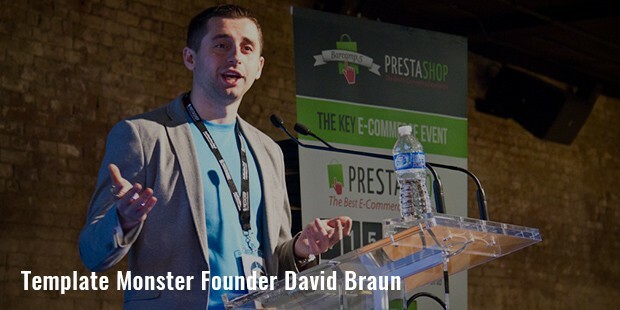 David Braun, the founder and CEO of Template Monster, wanted to be a psychologist during his early years, and then tried to pursue a career in marketing. Ultimately, he realized the importance of Internet, and partnered with Inverse-logicin order to try hands in website designing. The company has survived fierce competition during its early years, and is now the biggest website template provider over the Internet. People and businesses were looking for a low-budget solution to having a website, and this inspired David to launch Template Monster. Within 3 years of the launch, the company started attracting 10 million visitors every month, and received 40,000 partners across the globe. Hackers initiated DoS attacks on the site, which intended to control the whole industry through Template Monster. But that was withstood, and eventually the site became the biggest resource for website templates online. The website started by offering simple 1-2 web page templates without any effects like Flash, and with very easy layouts. Now, they are offering more than 7000 templates divided into different categories, including logo templates, website templates, corporate identity packages, PHP nuke themes, flash templates etc. Their Template Tuning and Site2You are high-end web template and web design related services.Today, Template Monster are always innovating ideas, and developing new products, services and projects. They have recently launched their responsive web design feature, so that their templates can be accessed from different screen sizes, including mobile phones, laptops, tablets, etc. 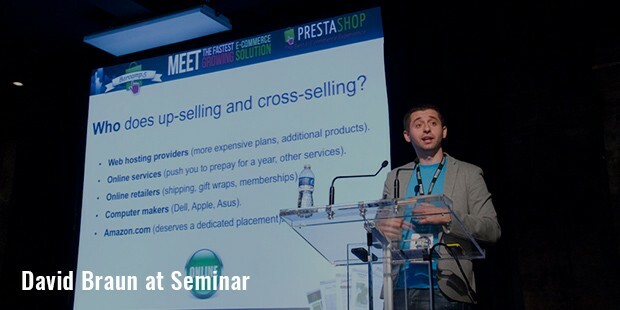 In 2010, they partnered with VideoSmash, a service that creates videos and sells the video effects. They have also partnered with Microsoft recently.